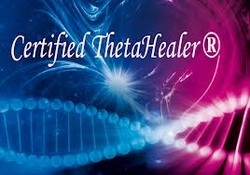 A combination of different techniques, such as Reiki, Khrem Sekhem, Theta Healing, personal insight and channeling, according to the person's needs. Reiki is a technique for stress reduction and relaxation that also promotes healing. It is administered by "laying on hands" and is based on the idea that an unseen "life force energy" flows through us and is what causes us to be alive. If one's "life force energy" is low, then we are more likely to get sick or feel stress, and if it is high, we are more capable of being happy and healthy. An experience with reiki can provide deep relaxation, emotional calming and mental clearing, peace, warmth, tingling and other body sensations. Reiki is an aid towards attaining peace and harmony in your life. Krhem-Sekhem is the Egyptian word for power, and is equivalent in meaning to prana, chi, and ki, various terms for the all-encompassing essential force that binds the universe together and which is present in all life forms. There are many systems of hands-on energy healing, operating at different frequencies and vibrational levels. However, Krhem-Sekhem is actually considered to be the forerunner of all hands-on spiritual healing systems. Khrem Sekhem works at the very deepest level. It assists people to take responsibility for their life, to heal, to grow both personally and spiritually, and so become more of who they really are. The Krhem-Sekhem energy flows from the practitioner into the patient's subtle energy system, cleansing, clearing, and balancing every cell in their body, right down to the DNA level, leaving them feeling calm, relaxed, and deeply at peace with themselves and the world. It is a healing method that uses a fusion of fundamental forces of science and nature to transform one’s experience. It uses the 7 key components of the Universal Energy Field activated by the facilitator, to heal the 7 areas of the Human Energy Field which contains all that we are. This is based on the Hippocratic concept of “Like treats Like”, as we are made of the very same stuff of the Universe. 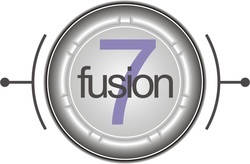 Fusion7Healing restores, emotional and psychological health. Transforms relationships. Resolves blocks of past, present and future. Heals situations and environment. It is safe, natural and highly effective.